Bose Quiet Comfort 15 Headphones - Silver- Distressed . These are used headphones. Because they are used, there will be signs of wear throughout, such as: scratching, scuffing, and other like blemishes. Trending at $52.00eBay determines this price through a machine learned model of the product's sale prices within the last 90 days. Used in good condition. Comes with wire. Bose QC15 Quiet Comfort 15 Acoustic Noise Cancelling Headphones Good Condition. Condition is Used. Shipped with USPS Comes with case. Not always free to these locations. Fully functional. Not Included. New EarPads! Bose QuietComfort 15 Silver Headphones. Tested and sounds great! Trending at $88.33eBay determines this price through a machine learned model of the product's sale prices within the last 90 days. (To be clear: the QC15s replace the QC2s, which will no longer be sold.). Bose has redesigned the case so that it's easier to plop the headphones in it and close it up. As you'd expect from a set of headphones designed for frequent travelers, Bose throws in a two-prong airline adapter. TESTED BY THE STAFF, WORK GREAT. OVERALL I'D GIVE THE HEADPHONES A 6/10. Features ?. NOISE CANCELLATION. Things I Buy Fast N Easy Pawn has provided specialty financial services to individuals in the Appleton WI, Green Bay WI, Oshkosh WI and surrunding areas since 2008. Very few, if any scratches on this set of headphones. Slight worn spots on the inside of headset case.Functional Condition headphones carrier. Original box. audio cable. Bose QC15 QuietComfort 15 Acoustic Noise Cancelling Headphones. Condition is New. Never used! Shipped with USPS Priority Mail. These Bose headphones are USED but in fair condition. There are scratches, wear, cuts and sticker residue throughout. (See Photos). These headphones have been tested and are fully functional. The item that you receive may show different signs of wear, but will not exceed the conditions shown in the photos. Genuine bose quietcomfort QC15 acoustic noise cancelling headphone. The best around-ear Bose headphones reduce noise across a wide range of frequencies. Amazing noise cancelling and sound effects. Enjoy music and movies with clear and lifelike sound. Bose QuietComfort 15 QC15 Headphones- Silver. Condition is Used. Shipped with USPS Priority Mail. The best around-ear Bose headphones reduce noise across a wide range of frequencies. Connectivity Technology: Wired/Wireless. Enjoy music and movies with clear and lifelike sound. AAA battery included: 35 hours average life. Over-the-ear design by Bose. Just replaced with new ear cushions. Some small scratches (visible in pictures). Work great. Includes case and airline adapter. 5 out of 5 stars - Bose QuietComfort 15 QC15 Noise Cancelling Headphones - New pads! 312 product ratings312 product ratings - Bose QuietComfort 15 QC15 Noise Cancelling Headphones - New pads! You will get everything that is in the picture. The headphones have a little wear to them. There are a few micro scratch that are hard to see. Bose QuietComfort 15 Noise Cancelling Wired Headphones. 5 out of 5 stars - Bose QuietComfort 15 QC15 Silver Headphones Genuine - BRAND NEW IN SEALED BOX! 312 product ratings312 product ratings - Bose QuietComfort 15 QC15 Silver Headphones Genuine - BRAND NEW IN SEALED BOX! Trending at $126.97eBay determines this price through a machine learned model of the product's sale prices within the last 90 days. Tested-fully functional. You will get what is shown on the pictures. Ear muffs are exposes as pictured, but still work just fine. Headphones require 1 AAA battery for operation, not included. The sale is for the headphones, case, pouch, extension cable (not Bose), and Airplane jack (not Bose) as seen. Good working. Trending at $63.63eBay determines this price through a machine learned model of the product's sale prices within the last 90 days. Used good condition. Comes with wires not shown in pictures. Up sale a pair ofBose QC15 Quiet Comfort 15 Noise Cancelling Headphones -Silver in Like New Excellent used condition. Bose QC15 Headphones. Advanced ear cushions use new materials in a proprietary design to establish a critical acoustical seal-helping to further reduce noise while providing a comfortable fit. Replaced 3.5MM Mic Audio Cable For BOSE QuietComfort 15 QC15/QC2 Headphones. Compatible for Bose QuietComfort 15 QC15/QC2. 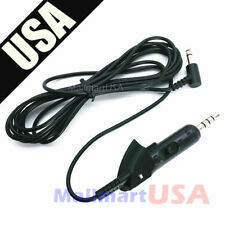 Top Quality OEM cable to connect your Bose Headphones with the highest Quality Audio. Bose QuietComfort 15 QC15 Acoustic Noise Cancelling Headphones - Black / Silver. GREAT CONDITION. Shipped with USPS Priority Mail. QC15 Bose Over Ear Noise Cancelling Headphones. Compatible with Bose Quiet Comfort QC15 QC2 Headphones. 1 pair x Ear Pads Cushion. Headband Cushion Pad size: Approx.15 x 3.5cm. 1 x Headband Cushion. Material: Artificial leather, soft foam， which makes your wearing cozy and comfortable. Good condition. Comes with all the wires, case. Replaced the ears and the overhead pieces. These are in very good condition and work great. I do not have it, but you can also buy the AirMod wireless adapter to make them wireless. 5 out of 5 stars - Bose Quiet Comfort QC15 Acoustic Noise Cancelling Headphones. 3 product ratings3 product ratings - Bose Quiet Comfort QC15 Acoustic Noise Cancelling Headphones. Trending at $83.49eBay determines this price through a machine learned model of the product's sale prices within the last 90 days. Bose QC15 Acoustic Noise Cancelling Headphones;. Includes; Bose QC15 Headphones, audio cable and carrying case. Genuine Bose Product. Works with all devices but In-Line Remote compatible with Apple only. Bose QC15 Acoustic Noise Cancelling Headphones;. Includes; Bose QC15 Headphones, audio cable, airplane adapter and carrying case. Genuine Bose Product. Up for sale is a pair of Bose QuietComfort QC15 Noise Cancelling Headphones. I bought these years ago and am the original owner of the item. Bose Acoustic Equalization. Triport Acoustic Headphone Structure. LOCAL PICKUP. You will get everything that is in the picture. The headphones are in great shape. There are a few micro scratch that are hard to see. They sound great. Used Bose QC15 Acoustic Noise Cancelling Headphones Colorware Edition Ball Blue, in working condition, tested sound great. It has signs of use , some marks on headband. Comes with 2 Cables, Case , as pictured. Bose Quiet-Comfort 15 in great condition. Uses single AAA for up to 35 hours of use. Includes case, Headphones, apple remote jack and standard jack. All the original accessories. Great condition, work perfect, clean, no issues. Earpads recently replaced. Like New - In Original Box. These headphones show NO sign of wear. And manual. Two prong adapter. For sale is a Bose QC15 Noise Cancelling Headphones - Silver/Black. And when you'd rather relax without music, switch on QC headphones to simply reduce the noise around you, wherever you are. Bose QuietComfort 15 Noise-Cancelling Headphones. QuietComfort 15 headphones. Light signs of wear from previous use. For Sale is aGenuine Bose QuietComfort 15 QC15 QC 15 Silver Headphones. You will experience lifelike sounds without the distractions when you put on a pair of Bose Quiet Comfort(QC) headphones. Engineered with noise-canceling technology, the QC15 model reduces background noise so you can enjoy your favorite tunes and movies. 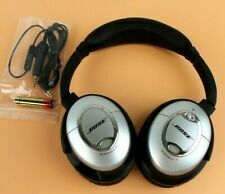 You will find new, used and refurbished Bose QC15 headphones for your listening pleasure on eBay. What are some of the features of Bose QC15 headphones? What devices can you pair with Bose QC15 headphones? 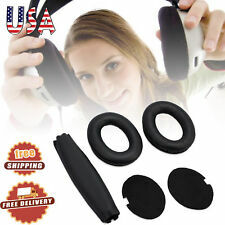 What accessories are available for QC15 headphones? Audio cables - There are two types of cables. One is for general use, and one has an inline three-button remote. Airline adapter - Use this cable to connect to airplane ports to enjoy in-flight entertainment. Carrying case - The Bose slim carrying case provides secure storage and includes interior and exterior pockets. Ear cushions - Padded ear cushions offer a pleasant fit while blocking out environmental noise. What is Bose's acoustic noise-canceling technology? Bose's noise-canceling technology features cushioned ear cups with microphones inside and out to detect noise and reduce the sound. Added to this, padded ear cups to help block noises, and the headphones provide a pleasant listening experience. These headphones also come in handy when you need to focus. Just put them on to drown out distractions without turning on music. Content provided for informational purposes only. 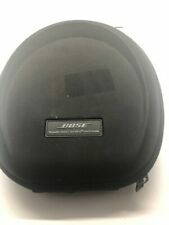 eBay is not affiliated with or endorsed by Bose.